How Business Software Development Company in the Philippines Can Help Your Startup? 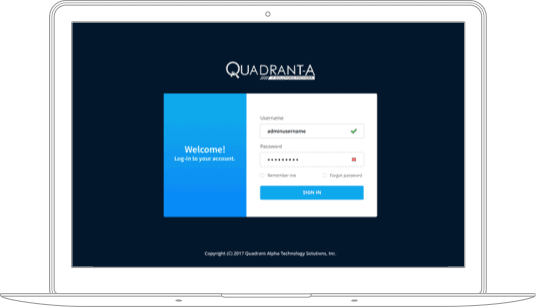 - Quadrant Alpha Technology Solutions, Inc.
For any business that is serious about improving in the long-term, having a reliable business software should be a primary part of your thought process. Just about every business in any industry can benefit from having bespoke software developed. For startups, it can be crucial for helping to set yourself apart from the competition and the market leaders. Give yourself enough time to appreciate how a software solution can take you further forward and you will be much more likely to progress. Most of the times, complex features and services that you wish to put in place will need a software-based solution to make it manageable for your business. In this moment, it pays for your business to invest in business software development company in the Philippines. Experts can come in and take a more precise look at where you are going wrong, and then offer a proven solution to make the problem a thing of the past. Whether you want a web app to improve accessibility or you are simply looking for a way to augment your businesses in-house performance, software development in the Philippines can really help you to take things to a new and altogether more impressive level. An experienced and professional software development team can be the difference between your startup firing out of the traps or lingering slowly. You have to be able to make a clear pathway that allows your business to meet new challenges and to make sure that you have an intelligent methodology to follow things in-house. One of the main benefits of having access to a cloud computing for a new startup is that you can implement every tool and feature that you could possibly need to take things further. Cloud computing, for instance, can be a mainstay of your business for years to come if you were to implement it as part of your business today. It would allow you to work more collaboratively as a business. Staff would have an in-house cloud that allows them to work from afar, all collaborating together to get jobs done. Without the cloud, this needs a repetitive and somewhat irritating back-and-forth with an email to communicate and to collaborate. With the cloud, everything can be managed in real-time to keep you and your staff on-point. Software solutions like Human Resource Information System (HRIS) can only be implemented if you have a cloud computing capability. At the same time, you need to be able to cope with the challenge of communication. A cloud allows you to have everyone communicating through one seamless enterprise, reducing the need for costly calls and time-consuming chats on SMS. This can make sure that your communication costs will come down, making your business much more affordable to run in the long-term. Your business has the chance to be truly global, too. Staff can work from wherever they like, meaning that your business can be productive even on days when the office is shut. This allows you to make sure that the workplace can be far more universal; people can work from the beach, from bed or wherever they choose generally. Naturally, this can be effective for any business that is serious about making progressive and meaningful changes. Add in the fact that the cloud is more or less totally scalable and there is no reason why your ambitions should be limited or stunted. This offers an affordable way to make sure that your business can grow to help benefit 1, 10, 100 or more employees without issue. Rather than trying to fit everyone into the one area, cloud computing HRIS software allows for more people to work together in a much more cohesive manner. In short, cloud computing ensures that your business can make the sky the limit with the right kind of software installation. A bespoke cloud-computing platform will vastly improve much about your business, but how it communicates in-house is likely to be one of the primary beneficiaries. How to be Successful by Adopting the Right Approach? You first need to make sure that you hire the right tech company – know why you are choosing to hire this particular group. Are you outsourcing due to a lack of time or perhaps a lack of in-house software expertise? Know why you need to go outside of your company first and foremost. You also need to appreciate that you are hiring a company to help you launch a startup, so it helps if they are as open and as easy to talk to as possible. You will naturally want to run many ideas and questions by them, so make sure you are hiring someone with an approach, which is open, inclusive and idealistic as every company has different needs – some may need Accounting Information System (AIS) software, Manufacturing Resource Planning (MRP) software, or even specialized software like restaurant reservation system software and logistics and dispatch with GPS tracking software, while others may opt for a full-scale system that overlaps every aspect of the business with the help of Enterprise Resource Planning (ERP) software. The right approach is to hire a company that can give you a good Return on Investment (ROI). So, how much can they estimate to improve revenue generation as a business? Will this be a price worth paying? You should be able to very quickly tell if you are going to see a positive change in how your business performs just by asking what the ROI might be. Outsourcing in tech matters as it allows you to get someone to deliver an in-house software package that meets all of your needs. Trying to do it all on your own can be quite the challenge. By hiring the right business software development company in the Philippines such as Quadrant Alpha to implement your HRIS software, it allows to reduce the amount of workload that your own staff has to deal with. If you can allow your in-house developers to work on other projects, then outsourcing is very much the right approach. Make sure that you don’t expect your staff to be able to do everything on their own. The more help that you can give them to get get the job done, the better. The right approach is to never force your business to do more than it is capable of; asking for outside assistance is not weakness, it’s an acknowledgement that your business needs more if it’s going to succeed.